With her powerful voice that could easily fit within mainstream pop, contemporary, classical, and jazz genres, Lindsay Aline has her own unique sound that is definitely her own. 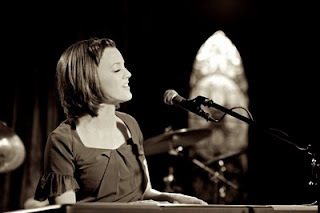 This San Francisco native, began her singing career at the tender age of 13. That year was her first stage performance and sparked her love to perform on stage. Nine years later, after her travels to Italy for vocal lessons, numerous talent shows, weddings, church, and sporting event performances, she hooked up with Record Producer, Tyler Castleton, and Sound Engineer, Scott Wiley, to release her first CD entitled, Illusion. This full length album is a track filled showcase of Aline's tremendous vocal talent and her ability as a seasoned pianist. The flagship of the Illusion CD is by far, "Reach". The modern style melodies absolutely compliments Aline's powerful and emotionally charged voice which is no less than phenominal. The story of the song is an abstract tale about the struggle that comes with finding the love of her life and maintaining that spark that drew them together. Another notable song that makes Aline stand alone is the title song, "Illusion". Illusion is a sure spotlight and testiment of Aline's vocal range that is the "head turner" on the CD. While the lyrics seem secondary to her voice, it is a captivating tale about losing her trust when she discovers it was all an illusion. When you added me on Twitter, I looked you up and I was in “awe” when I heard how great your music is. Where did your incredible voice come from? My Dad says it’s from his side of the family. My Mom says it’s from her side. I say it’s the blend from both. That keeps peace in the family too. Since you haven’t been discovered nor have you broken out into anything major in mainstream, where do you see yourself at in today’s music with the way the industry is or does it not concern you? Maybe by talking with you I will get discovered! I am involved in music because I love it. That passion will shine through in everything I do. That’s all I can control. I just hope to share this with as wide an audience as I can. Without comparing yourself to a mainstream artist, what do you think the advantages and disadvantages of being in control of your own destiny in music? Control equals being able to maintain the integrity of my music and my life. I see so many artists compromise themselves simply for the sake of the crowds. I don’t need to do that. I am who I am and am quite comfortable with that. After looking at your biography, most of your life has revolved around music. Is this something you wanted to do from the beginning or did you get a “push” into that direction? I am happy to say that there was never a moment when I didn’t know I was born to be a musician and a performer. But, that does not mean I was always sure that I was good enough. I have received so much positive feedback that I am energized by performing. I am so grateful for the all of the encouragement. I noticed that you also play piano. Do you write all of your own music and lyrics yourself? I do, yes. I admit that in my songwriting journey thus far, I have given my ears more power than technique, but I am happy with where my ears have gotten me thus far and look forward to learning more as I keep writing. Did you take singing lessons in Italy and how long did the lessons continue? I was in Italy for about a month and had 4 voice lessons during that time. Talking about common things in such different ways there put a fresh twist on everything—it was awesome to see how music really is a universal language. Having time of my own in a practice room overlooking downtown Florence was monumental for me too. I saw that you are not originally from the US. Where are you from originally and how did you come to live here? I am from the US, actually-- from the San Francisco Bay Area in fact-- but hey, you hardly know where you are when you're there because it is such an eclectic place-- I LOVE it! Growing up around such a wide variety of sights and sounds plays a huge role in how I see my life and live my dreams. When you were 13-years-old you mentioned that was when you had your first performance. Was that the moment you knew you wanted to be a performer or did that come into fruition later? Besides your natural ability, who is directly responsible for your talent? I had the unique fortune of having one, steady, loyal voice teacher growing up. She was a constant behind a wide variety of other teachers I met with from time to time for the sake of learning from multiple sources. I had sessions with other teachers here and there and was always reading or going to workshops and so on, but this one woman saw my potential early on and I will never forget that. When I was only 11 she offered to get me started on a healthy vocal routine, then she went on coaching me through performances, recordings and competitions for the next 10 years. Her teaching style has just been the best for me and she is still who I go to for tune-ups, advice, empathy and support. So, talking a little about your songs, what is your favorite song and why is it so dear to you? Each song holds completely different context and character in it for me that it is hard to dub a favorite. The lyrics of “Please,” the instrumentation of “Illusion,” the storyline of “Eye Contact,” the reasons behind “Risk,” the rhythms of “Reach” and the imagery of “What A Day” are all close favorites of mine. Where does your motivation to write music come from? Is it easy for you to write music? If by agreeing that it is easy for me seems to suggest I am a seasoned songwriter, than no, but if it does justice to my love of expression, than yes. Music's power is limitless and I want nothing more than to do great things with it. Hopefully I can do that in more than one way in my lifetime but this feels so natural for me right now. And motivation is chiming in every day. I find that the more open I am to it the more it comes, so thoughts, faces, conversations, stories, realizations, good times or even mistakes, all come up in those daily “light-bulb” moments. Do you like being an independent artist? 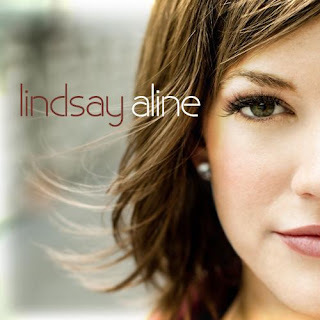 So, what is in store for Lindsay Aline? Any big news coming up for you? I have been approached by several artists to collaborate on concerts and have several new songs in the works. My goal is to perform with a full orchestra on a huge stage. Stay tuned – I haven’t written my best song yet! Visit Lindsay on her official website.